The Russo-Western conflict over Ukraine is a continuation of the geopolitical war against Russia unleashed by the US in Yugoslavia in the 1990s, Dragana Trifkovic told Sputnik, nailing the West for the deliberate demonization of the two nations. The British-drafted anti-Serbian resolution over the so-called "Srebrenica massacre" discussed in the UN Security Council earlier this month is part of a Western geopolitical game aimed against Serbia and Russia which started with the Yugoslav War of 1991-2001, according to Dragana Trifkovic, an author, expert in geopolitics and the Director General of the Center for Geostrategic Studies, in Belgrade, Serbia. "This war represented the first phase of surrounding Russia, and the elimination of its allies, as well as the testing ground for trying out new methods for special war, which are afterwards used in Afghanistan, Iraq, Libya, Syria and now in Ukraine," Dragana Trifkovic told Sputnik. The expert emphasized that the West is waging a hybrid war using all types of resources, from informational and economic to diplomatic, political, and the military, engaging foreign proxy armies in its overseas operations. The West misinforms and manipulates the public via controlled media sources, persistently falsifying the truth. It is also making repeated attempts to rewrite history, turning executioners into victims and victims into executioners. 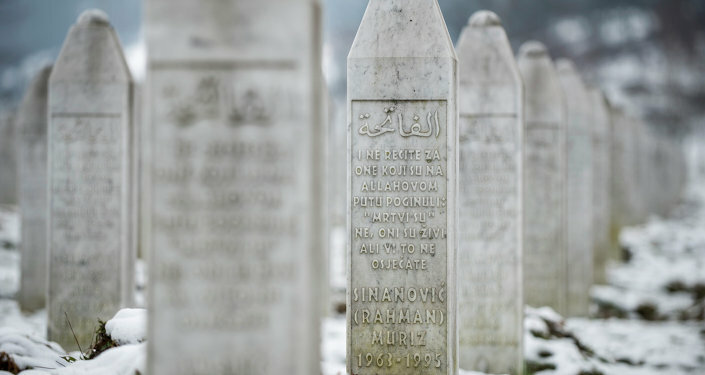 The UN Srebrenica resolution, vetoed by Moscow, is a vivid example of such a misconception: there is no evidence to confirm the assumption that Serbs intended to commit "genocide" on Bosnian Muslims in Srebrenica, nor any order by Serbian military leadership approving such an action, Dragana Trifkovic highlighted. According to the expert, another fact that should be known about Srebrenica is that most of the victims were killed during the battle for Srebrenica and belonged to the 28th Division of the Bosnia and Herzegovina Army. "The Commander of that Division was infamous Naser Oric who was acquitted of responsibility for committed crimes by the Hague tribunal," Dragana Trifkovic remarked. "And the third important fact which West and British resolution does not mention, is that from 1992 to 1995 in Srebrenica and surrounding villages around 3,500 Serbs were killed — mostly peaceful civilians, including women, children and elderly people," the expert underscored. 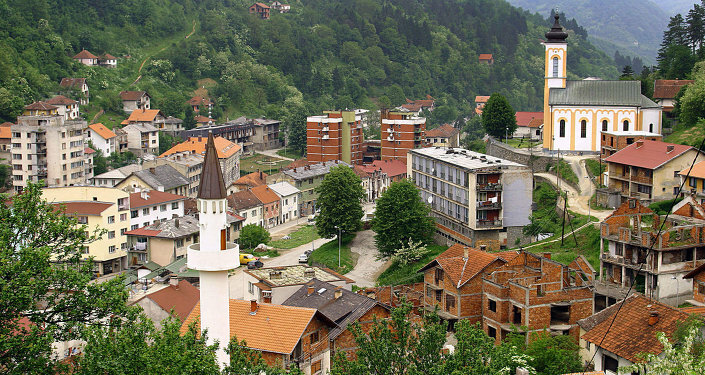 Numbers of Srebrenica victims has been dramatically exaggerated by the West, the expert pointed out. And that is not all. "Not only the number of 8000 Muslim victims is exaggerated, but many of the victims, whose name are carved into the monument, live in the United States or vote at elections in Bosnia and Herzegovina. Namely, the Hague Court granted that all persons registered as missing are victims, in realistic reports alleges that about 2,000 Muslims were actually killed," Dragana Trifkovic noted. She also pointed to the fact that the British sponsors of the resolution have remained silent about that fact that a substantial number of foreign Islamists had been fighting together with the Bosnian army against Serbs. "And now we come to the conclusion, which is also the answer to the question why British sponsors of the resolution do not mention mujaheddins. Because the West was deeply involved in the war in Yugoslavia. There is also a testimony of the fact that Bill Clinton and Alija Izetbegovic agreed to sacrifice Srebrenica and kill at least 5,000 people, because that would justify the NATO bombing of Serbian positions," the expert pointed out. 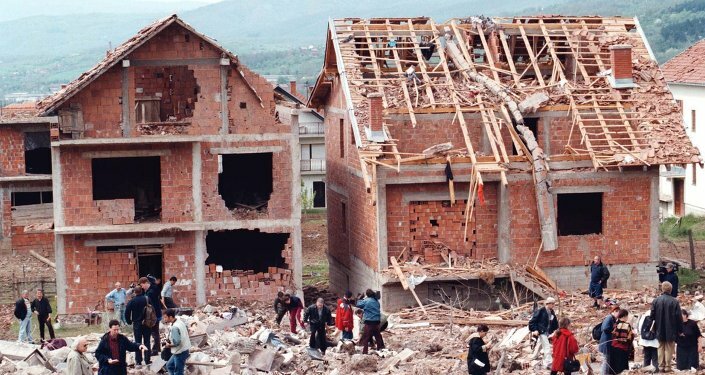 Serb civilians and reporters walk around a residential area damaged during a NATO attack on a neighboring army compound (300 kilometers south of Belgrade), Wednesday, April 28, 1999. Dragana Trifkovic also stressed that the British-drafted resolution had obviously had the objective to brand the Serbian people as a "genocidal nation" paving the way for the revision of the Dayton Agreement of 1995, which would put Bosnia and Herzegovina under the control of Muslims and Croats, and permanently disable any rights to Serbs. 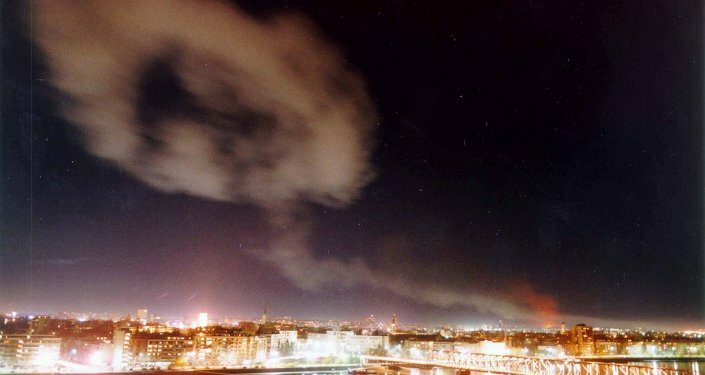 While the West is placing the burden of responsibility for the Yugoslav Wars on Serbs, it was the Serbian nation who is the greatest victim of these military conflicts. Dragana Trifkovic narrated that the Serbian civilians were the target of Western-backed Croatian armed forces who carried out ethnic cleansing of Serbs who have lived for centuries in these territories, particularly during the infamous Flash and Storm military operations. Croatian forces received military assistance and training from US military officers. Meanwhile in Bosnia and Herzegovina Muslim forces also received military aid from the West. "Over 200 000 Serbs were expelled from Kosovo and Metohija [during the Yugoslav Wars], and at the same time Serbs were accused for "genocide" against ethnic Albanians. Later on was found that the Albanian victims [killed at] Racak were not civilians but KLA [Kosovo Liberation Army] terrorists. It was used for starting the bombing of Serbia — true genocide when NATO threw more than 10 tons of uranium," the expert highlighted. However, no one has been convicted for crimes against Serbs, ethnic cleansing and bombing of civilians by NATO, no one has been held responsible for the slaughter of Serbian women and children, and no one has paid for the material damage of more than $100 billion to Serbia. 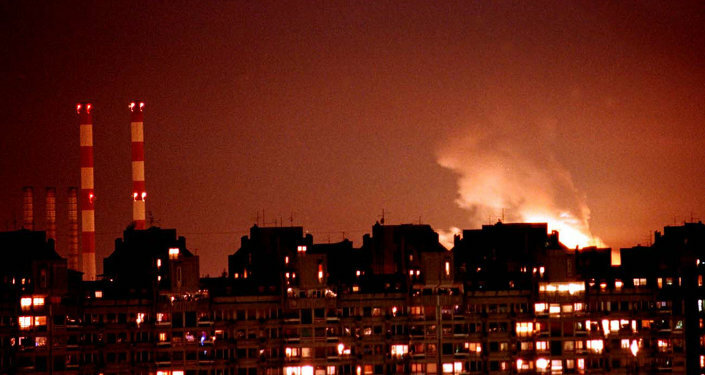 "Rather, a crime against the Serbs continues in the fanatic form," Dragana Trifkovic told Sputnik. According to Trifkovic we can draw clear parallels between the demonization of the Serbs started in the 1990s and the current demonization of Russians in full accordance with the notorious Goebbels method "Tell a lie a hundred times and it becomes the truth". The West has used the Yugoslavian scenario in Ukraine. Snipers on Maidan had done the same job as their counterparts did in Sarajevo many years ago. US private military companies flooded Ukraine and Washington is placing its advisors directly in the Ukrainian government. The Pentagon and NATO are training and arming the Ukrainian troops, while ethnic Russians and Russian-speakers have become the target of the Washington-backed Ukrainian military forces, the expert pointed out. The West is turning a blind eye to the murder of the Donbass civilians by the Ukrainian armed forces and ultra-nationalist battalions as well as to the hideous Odessa massacre of May 2, 2014, just like it turned a blind eye to the genocide of Serbs. For the US and the EU "these victims are just collateral damage in the way of achieving the objectives for the imperial West," Dragana Trifkovic noted, adding the West is still considering Serbs "a disturbing factor," which may potentially undermine the Western geostrategic plans in the Balkans. "Today's events can be viewed through a specific paradigm and historical cycles which repeat themselves. For the international community, especially the Western public, it is important to find the full truth about the events in the former Yugoslavia, about who was involved in these wars, who was the victim and who was manipulated to fight for the interests of Washington. This also refers to the current conflict in Ukraine. A lie can last only as long as the force that defends the lie. 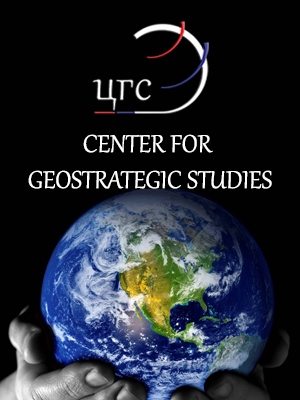 Undoubtedly, one day the truth will come out," Director General of the Center for Geostrategic Studies Dragana Trifkovic concluded.